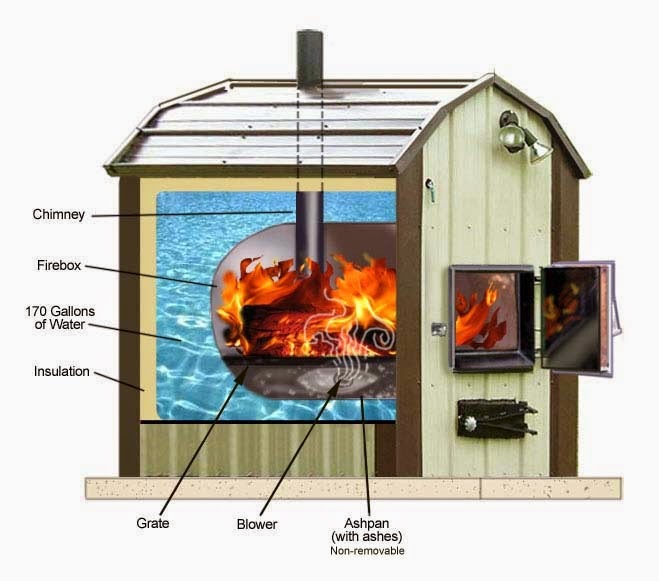 Four states—Pennsylvania, Indiana, Connecticut and Rhode Island— have been working on proposals to regulate Outdoor Wood Boilers (OWBs). Even though unregulated OWBs are arguably the most polluting wood stove burning devices, no mandatory federal standards exist for them. However, state legislatures around the country are making progress in curbing pollution from OWBs. The Pennsylvania Environmental Quality Board (EQB) recently proposed new regulatory rules for all OWBs sold and used in the state. If passed, the new regulations will only allow the sale of Phase II units (an OWB that has been qualified by the EPA as meeting a particulate matter emission limit of 0.32 pounds per million), and require new OWBs to be installed at least 150 feet from the nearest property line. The proposal will further mandate both new and old OWBs to contain a permanent stack at least 10-feet tall and two feet above the highest residence, and prohibit the burning of garbage, tires, hazardous waste etc. As public hearings wrap up around the state, the proposal is scheduled for review by the state legislature. As a national organization dedicated to promoting wood heat in America, the Alliance for Green Heat supports strict regulations for outdoor boilers. We believe that wood heat should be a key source of renewable energy in America, and that renewable energy incentives should be provided to biomass, along with solar, wind and geothermal. However, we also believe that the EPA has let some of our emission standards stagnate and has allowed too many exempt appliances, such as unregulated outdoor boilers, to remain on the market for too long. While the proposed changes in Pennsylvania are entirely reasonable, even further setback requirements could be in place near schools, hospitals and densely inhabited areas. Another key point is that while setbacks will help protect neighbors, they do nothing to protect families that own outdoor boilers, especially children who have no say where they live and what they breathe. Children are particularly vulnerable to the harmful effects of wood smoke. Unfortunately, one of the biggest problems with outdoor boilers is with the existing boilers, not the new ones meeting recent requirements. Requiring both new and existing boilers to meet the stack height restrictions is important. We believe both new and existing outdoor boilers should be prohibited from use during the summer, except for boilers that use wood pellet fuel, which are reliably much cleaner. By regulating polluting OWBs and limiting fuel usage to clean wood and pellets, the new proposal is expected to improve air and water quality, biodiversity, and primarily, the health of residents. Other states are also working to regulate OWBs use. The Indiana Department of Environmental Management (IDEM) is developing a draft to regulate emission from OWBs. IDEM is currently accepting public comments and the proposal will undergo two public hearings before it can be adopted by the state legislature. More than 7,500 OWBs have been sold in Indiana since the 1990s, according to the Indiana Law Blog. Proposed regulations will mandate Phase II units for new installations, and require existing OWB stacks to be extended at least five feet above the nearest rooftop within 150 feet. In Connecticut, after the initial proposal to ban OWBs in December by Attorney General Richard Blumenthal, state Sen. Andrew Maynard (D-Stonington) recently said that the ban is unlikely. Even though only phase I and II OWBs are now allowed to be installed, according to the Norwich Bulletin, the state will work to develop even tougher regulations and a bill banning OWBs may be introduced. The Department of Environmental Protection in Connecticut received several hundred complaints about OWBs over the last three years. Connecticut law currently mandates new OWBs to be installed at least 200 feet from the closest residence and contain a stack that’s at least as tall as the closest rooftop within 500 feet. In Rhode Island, a bill passed by the House for OWB regulation will require Phase II units to be installed at least 100 feet from the nearest residence and have a permanent stack at least two feet above the highest roof within 300 feet. All existing OWBs will have to be set back at least 500 feet from property line and extend at least two feet above the nearest residence. The bill is pending in the state senate. One of the most important facts to recognize is that Phase II boilers only cost marginally more than many unregulated boilers. Some Phase II boilers cost only 15 percent more. According to an assessment by the Pennsylvania EQB, extending the stack height of OWBs should cost between $73 and $84 for the 2-foot section, and between $119 and $145 for a 4-foot section. That is a small price to pay for cleaner air. If wood heat plays a vital role in our society, as we believe it should, we have to promote cleaner appliances and ensure that wood smoke is restricted to reasonable levels.